Vegetarian is a generic term that describes someone who refuses to eat meat, poultry, fish or other seafood. The Academy of Nutrition and Dietetics explains that studies indicate plant-based diets are healthy and nutritionally sound. Vegetarianism offers a number of health benefits that include disease prevention. Individuals preferring plant-based diets often have less body fat and weigh less. Consuming a limited amount of animal products, or avoiding animal-based products and byproducts helps maintain healthier cholesterol levels. Strict plant-based diets are deficient in different minerals and vitamins that the body requires daily. Vegetarians who include dairy products and eggs are the least likely to require supplements. Before considering a major dietary change, consider the need for minerals and vitamin replacements. According to the Vegetarian Diet Guide, there are a number of classifications that describe diets void of meat. (2) Each category presents the possibility of suffering from nutritional deficiencies. Individual sub-classifications entail a need for specific supplementation. Ensuring a healthy vegetarian diet requires performing the necessary research, learning the shortcomings and being prepared to make the appropriate adjustments. 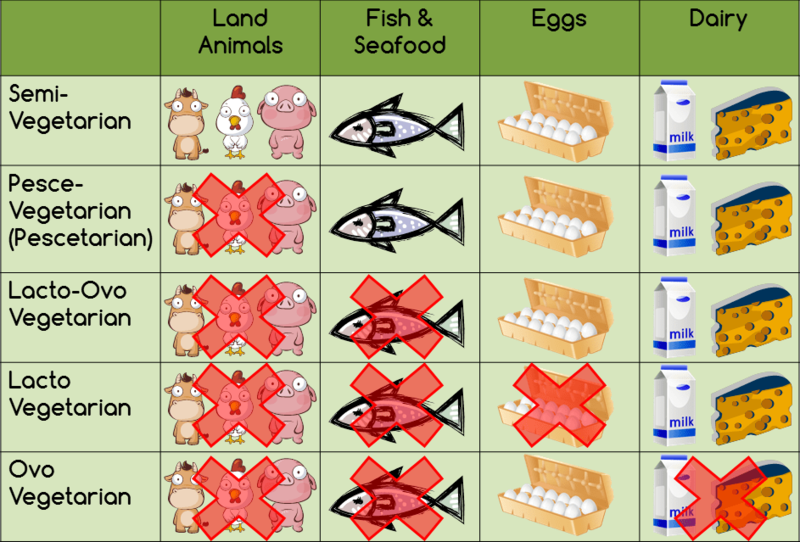 While typically avoiding meat and seafood, these individuals do consume of eggs and milk. The label refers to someone who avoids meat and seafood along with dairy products. However, they do eat eggs. This group avoids meat and seafood but include diary products. Considered the strictest category of vegetarianism, these individuals do not consume any animal-based products or byproducts. Some may also avoid eating honey or yeast. No animal products are consumed on this diet, which mainly consists of unpolished rice, vegetables, fruit, nuts, seeds and some fermented foods. Someone on this type of diet consumes mostly plant-based foods. However, they may choose to eat meats, poultry or fish on occasion. This type of diet is largely plant-based but also contains fish. This version of a vegan diet only contains plant-based foods that do not harm the plant when harvested. Some of the most common deficiencies experienced on vegetarian diets require supplementation with the following nutrients. The National Institutes of Health offer an extensive explanation of numerous vital minerals and vitamins. The mineral is important for the formation of red blood cells and hemoglobin, the protein found in red blood cells that carries oxygen from the lungs to all body tissues. 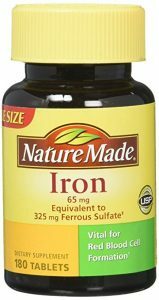 Iron is also necessary for a number of metabolic processes, growth and development, cell function and the generation of connective tissue and hormones. Fish, meat and poultry supply the heme and non-heme forms of iron that the body requires. Plant-based and fortified foods only contain the non-heme form, which makes supplementation necessary. The recommended daily allowance for iron is 8 milligrams. Teens and pregnant women require increased doses. Due to a lack of meat and dairy products in vegetarian diets, individuals consuming plant-based foods alone should increase RDAs for iron by 1.8%. 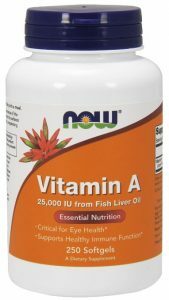 The fat-soluble vitamin A is vital for health vision, maintaining the immune system and reproduction. The vitamin also helps ensure the proper function of body organ systems that include the heart, kidneys and lungs. Preformed vitamin A is contained within dairy products, fish and meat. Provitamin A, known as beta-carotene, lies in plant-based products. The daily recommended amount depends on the age and health status of the individual. Anyone 14 years of age and older requires a minimum of 5,000 International Units or IU everyday. These values are increased for younger children, breast-feeding mothers and vegetarians. 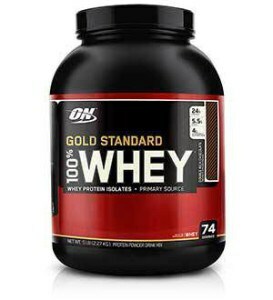 The body requires the mineral for maintaining strong bones and teeth in the way of structural integrity and strength. Calcium is also necessary for the normal movement of muscles and the transmission of messages between nerve cells. The mineral additionally assists in blood circulation, enzyme and hormone release. Dairy products are the common source, though calcium is prevalent in lesser quantities in broccoli, Chinese cabbage, kale and other dark green vegetables. Whole grains and fortified foods also offer some calcium. The recommended daily amounts vary depending on age. Proteins are found in every cell, tissue or organ in the body. During normal function and repair, the body breaks down and replaces proteins on a continual basis. Once consumed, the digestive process separates proteins into amino acids, which form the basic building blocks that the body uses. There are 20 different amino acids that are necessary. Nine of these are considered essential and are not manufactured by the body. Plant-based foods individually do not contain all of the essential amino acids. Produce provides minerals, vitamins and fiber that help maintain good health in a number of ways. Consuming an adequate amount of fruits and vegetables helps reduce the risk of cardiovascular disease, diabetes and obesity. Additionally, produce helps keep the body’s acid/base balance in check. Acidity levels often increase with physical activity. The body recovers faster in the presence of alkaline rich foods. Greens supplements contain algaes, grasses, fruits and vegetables processed in powdered forms. These products typically include a combination of alfalfa, chlorella, fruits, herbs, legumes, spirulina, wheat and other grasses. Greens supplements offer nutrients in the form of fiber, minerals, phytonutrients and vitamins. 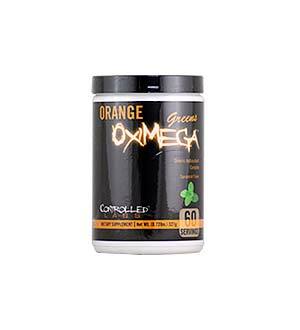 Docosahexaenoic acid or DHA is an Omega-3 fatty acid found in a number of cold-water fish species and meats. 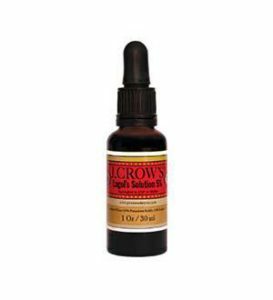 The compound is necessary for the development and maintenance of tissues involving the nerves and vision. 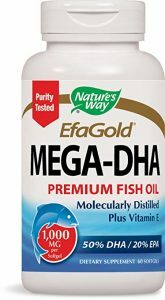 DHA also helps prevent cardiovascular disease processes by regulating coagulation and lowering triglycerides. The fatty acid additionally aids in the natural reduction of discomfort and inflammation. Vegetarian diets not containing fish or meat often require oral supplementation. The thyroid needs the mineral known as iodine in order to manufacture the hormones that regulate a number of body functions. These hormones also play a role in bone and central nervous system development of the fetus and growing infant. Iodine remains necessary throughout childhood for appropriate cognitive function. At higher dosages, the mineral is thought to decrease the symptoms associated with fibrocystic breast disease. Iodine comes readily available in table salt, fish and shellfish. The mineral is also present in seaweed. Diary products become iodized through the cleansing process. Foods made with grains also typically contain iodine. Fruits and vegetables may harbor the mineral if grown in iodine rich soil. 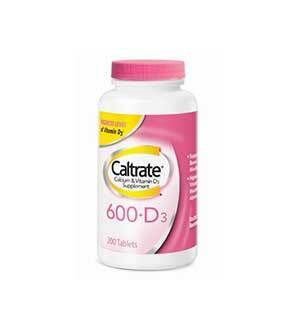 Vitamin D is necessary for the body to properly absorb calcium. In this way, the nutrient is required for the health and maintenance of bones and teeth. 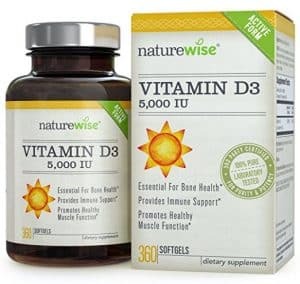 Working in conjunction with calcium, vitamin D also plays a role in muscle movement, nerve tissue transmissions and helps prevent osteoporosis later in life. The immune system requires the compound to help the body fight microbial invasions and infections. The vitamin is found in virtually every cell of the body. Our bodies make the vitamin naturally in small amounts when the skin is exposed directly to sunlight. Fatty fish and beef liver contain generous amounts of the nutrient. Breakfast cereals, cow’s milk, margarine, orange juice and soy milk are all usually fortified with the vitamin. Mushrooms naturally contain small amounts. 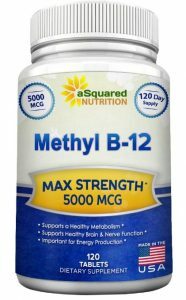 Vitamin B12 helps the body function normally in numerous ways. Cells cannot replicate normally without the vitamin, as DNA needs the nutrient for the reproduction of healthy genetic material. Nerve tissue also requires the compound for proper function. When the body consumes the vitamin in food, intrinsic factor in the stomach helps the body absorb the nutrient. Beef liver and clams have the highest concentrations of the vitamin. B12 is also found in diary, fish, meat and eggs, along with fortified breakfast cereals and yeast. Multiple vitamins typically contain the nutrient. Vegetarians might consider B12 tablets or drops that are taken orally. However, tablets must be chewed for proper absorption. 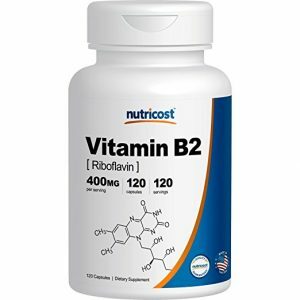 Also known as riboflavin, vitamin B2 is vital for the production of healthy red blood cells. The nutrient also supports the immune system, helps keep hair, mucous membranes, nails and skin healthy. The vitamin is responsible for boosting physical activity and regulates the aging process. The nutrient also helps the body properly use carbohydrates in food. Vitamin B2 is readily available in eggs, enriched flour, green vegetables, nuts and milk. Vegetarian diets void of meat products may become deficient. The recommended daily allowance of the vitamin are 1.1 milligrams for adult females and 1.3 milligrams for adult men. Depending on age, children require anywhere from 0.5 milligrams to adult recommendations. A vegetarian diet of any classification may improve health dramatically. Plant-based diets often improve the digestive process and skin tone while increasing energy levels and assisting with weight loss. Many new to a vegetarian way of life may not be fully aware of the potential dietary deficiencies that can occur. Getting the necessary minerals, vitamins and other nutrients on a daily basis pose a challenge for many people. However, the risk increases if not knowledgeable concerning the need to consume a variety of foods or use different cooking methods. Multiple vitamin supplements are designed to provide the components that diets may lack. Some products are formulated especially for vegetarians or vegans and feature labels ensuring the implementation of all natural, plant ingredients. Certain varieties also include digestive enzymes or probiotics. Depending on the type of vegetarian diet chosen, continually performing the necessary research ensures staying healthy in the long run.